Polemis is reported to have purchased the Suezmax “RS TARA” (160,036 dwt, Built SWS 12/2016, MAN-B&W) at an undisclosed price. In an earlier report in September the vessel was said to have been sold to Cardiff Marine for US$ 51 million. Two sister vessels due for delivery from the builders within this year, “RS AURORA” and “RS KAYSTROS” are believed sold to the same buyers at US$ 49.75 million each. Two American flag/Jones Act Aframax tankers, “EAGLE BAY” and “LIBERTY BAY” (114,756 dwt, Built Aker Philadelphia 2015/2014 resp., MAN-B&W) are reported sold by SeaRiver to Crowley Maritime; no details of the transaction have emerged. Hafnia Tankers have entered into a sale and leaseback transaction with Japanese interests in respect of the LR1 “HAFNIA AFRICA” (74,540 dwt, Built STX 2010, epoxy, MAN-B&W), price and charter details have not come to light. Stainless steel chemical tanker “BENGAL ORCHID” (19,980 dwt, Built Fukuoka 2008, IMO II/III, 20 tanks/pumps, MAN-B&W) has been sold for US$ 13.3 million. At a recent auction in Greece, “OANA” (6,474 dwt, Built Zhenjiang Sopo 2008, IMO II, epoxy, 12 tanks/pumps, MaK) was sold to local buyers at US$ 3.2 million. Scorpio is adding a further Kamsarmax to its fleet with the purchase of newbuilding Jiangsu Newyangzi Hull YZJ 2015-2215 – 81,800 dwt, due for delivery from the builders in May 2018. Scorpio is paying a price of around US$ 25 million. Amongst the newer tonnage sold, Supramax “SPRING EAGLE” (58,096 dwt, Built Tsuneishi Cebu 2010, cranes 4 x 30 tons, MAN-B&W – dd due 6/2018) has been sold by Nissen Kaiun on subjects for US$ 15.4 million. European buyers are paying US$ 10.5 million for “KING YUKON” (32,258 dwt, Built Kanda 2009, cranes 4 x 30 tons, Mitsubishi). Three sister vessels of varying ages were sold last week including “CLIPPER KASASHIO” (32,221 dwt, Built Kanda 2008) at US$ 9.5 million. Standard Imabari-type “CLIPPER ICHIBAN” (28,319 dwt, Built I-S Shipyard 2009, cranes 4 x 30 tons, MAN-B&W) has been sold at US$ 8.5 million with dd due. Some reports have described this vessel as a woodchipcarrier – it’s not. Sales of older units include “GRASSHOPPER” (53,146 dwt, Built Imabari 2002, cranes 4 x 30 tons, MAN-B&W) sold by British Marine for US$ 9 million following their purchase from Eagle Bulk in August 2016 at US$ 4.2 million as “KITTIWAKE”. At an auction in China, “HAI KUO” (49,400 dwt, Built Nantong COSCO 2004, cranes 4 x 25 tons, MAN-B&W) has been sold to domestic buyers for US$ 8.4 million. Ukrainian buyers are paying US$ 4.2 milliion for “TOMINI AMITY” (45,642 dwt, Built Tsuneishi Fukuyana 1995, cranes 4 x 25 tons, B&W – next ss 8/2020, next dd due 5/2018, 7,539 ldt). Handymax “XO LION” (42,717 dwt, Built IHI 1997, cranes 4 x 30 tons, Sulzer) has been concluded at US$ 4.5 million with dd due 1/2018. Buyers are paying US$ 4 million for “ALKAR TRUST” (30,835 dwt, Built Minami Nippon 1997, cranes 4 x 30 tons, Mitsubishi). OH type “SIGRUN BOLTEN” (29,534 dwt, Built Dalian 1997, cranes 5 x 30 tons, B&W) is sold to Chinese buyers for US$ 3.6 million with ss due. A sale has been concluded of “CHITTAGONG” (2,483 TEU, 33,662 dwt, Built Naikai Zosen 2007, gearless, MAN-B&W) on private terms. Buyers are paying US$ 3.3 million for “JRS CARINA” (698 TEU, 8,203 dwt, Built Fujian Mawei 2007, gearless, MaK). Golden Ocean has placed an order at New Times for two 208,000 dwt Newcastlemax bulkcarriers with options for up to four more. The two firm vessels, price at US$ 44.5 million each are scheduled for 2020 delivery. Odfjell has signed contracts with Hudong Zhonghua for four option four stainless steel chemical carriers of 49,000 dwt with deliveries commencing in June 2019; price per vessel US$ 60 million. Gulf Navigation, Dubai for four option two 50,000 dwt product carriers of 50,000 dwt. No price has emerged, the four firm vessels will be delivered 1/2018 thereafter at 3 month intervals. Vision Tankers, Greece has ordered one option one 115,000 dwt tanker at Sungdong for delivery 2018, price believed to be about US$ 45.5 million. Furetank, Sweden has ordered two 16,300 dwt chemical tankers with dual fuel capability and Ice 1A at AVIC Dingheng. Deliveries are scheduled for 2018 and 2019, price US$ 30 million each. SFI is reported to have sold the VLCCs “FRONT ARIAKE” (298,530 dwt, Built 2001 Hitachi Zosen, B&W) and ”FRONT CIRCASSIA” (306,009 Dwt, Built 1999/03 Mitsubishi, MAN-B+W) for US$ 50 million en bloc. In a refinancing exercise BW has sold two LR1s, “COMPASSION” (72,782, Built 2006 Dalian, MAN-B&W} and “COMPASS” (72,768 Dwt, Built 2006 Dalian) to China’s Bank of Communications against 7 years bareboat charter back. Further details of the transaction are not available but the growing availability of Chinese funding and a willingness to embrace older tonnage and not only the brand new are of note. MR product carrier “PACIFIC MARCHIONESS” (46,710 dwt, Built Hyundai Mipo 2010, IMO III, epoxy, 12 tanks/pumps, MAN-B&W) and her 2009-built sister “PACIFIC DUCHESS” have been sold to Oceanbulk for US$ 38 million en bloc. A deal in August to Singapore buyers at US$ 43 million did not materialize. Pressurized LPG carrier “AZERI GAS” (7,540 cbm, Built Watanabe 2002, B&W) has been sold to the Azerbaijan national oil and gas company SOCAR for US$ 8.5 million. Dubai buyers have purchased “EPIC ST. PAUL” (5,016 cbm, Built Wataname 1995, MAN-B&W) for US$ 2.9 million. Delivery has taken place, new name is “NORTH GAS”. The BDI slipped 8 points to 834 (842) in the course of the week mainly due to continuing weakness in the Cape sector. NYK’s ore carrier “GAIA PEGASUS” (229,186 Dwt, Built 2004 Namura, Mitsubishi) has been sold to Greek buyers for US$ 12.7 million. Two Tsuneishi-built Kamsarmax types have been sold, “BAROCK” (82,688 dwt, Built Tsuneishi Japan 2007, MAN-B&W) has obtained US$ 10.7 million; the one year older “ABYO OPRAH” (82,551 Dwt, Built Tsuneishi Japan 2006, ss/dd passed 9/2016) was sold for US$ 9.5 million, both to Greek buyers. The recent sale of the Nissen owned Supramax “PEARL HALO” (58,096 Dwt, Built 2010 Tsuneishi Cebu, cranes 4 x 30 tons, MAN-B&W) to BW Maritime has only just come to light; delivery took place two weeks ago when she was renamed “BW FLAX”. A price of US$ 12 million was agreed. Late vintage handymax “STELVIO” (48,549 Dwtt, Built 2007 Hakodate Dock, cranes 4 x 30 tons, Mitsubishi) has been sold for US$ 7.5 million. Celsius Shipping has acquired the modern handy size “MARATHA PREMIER” (34,930 Dwt, Built 6//2016/ Hakodate, cranes 4 x 30 tons, Mitsubishi) at a price of US$ 16.5 million. Vietnamese buyers have acquired another handy size, “IS TRINITY” (28,740 Dwt, Built 2009 Imabari, cranes 4 x 30 tons, MAN-B+W). Tan Binh has agreed to pay US$ 6.5 million. Japanese-owned traditional Panamax “SHIN YO” (76,863 Dwt, Built 2006 Sasebo, MAN-B+W, next ss 9/2020) has been concluded to Greek buyers at US$ 8 million. “NEW COMMAND” (76,662 Dwt, Built 2002 Imabari, B&W) has gone to Greek buyers at US$ 4.7 million with ss due 1/2017. “PAN UNO” (75,955 Dwt, Built 2001 Kanasashi, MAN-B&W) obtained US$ 4.5 million having passed ss in June of this year. Genco’s “GENCO LEADER” (73,941 Dwt, Built 1999 Oshima, Sulzer – dd passed 9/2016) has been sold to Chinese buyers for US$ 3.5 million. Chinese buyers are paying US$ 2.7 million for “ALIA R” (28,395 dwt, Built 1997 Hakodate, cranes 4 x 30 tons, B&W – ss due 6/2017). Taiwanese owners have sold “HO XIN” (24,823 dwt, Built Kurinoura 2007, cranes 4 x 30 tons, MAN-B&W) for US$ 4.5 million with ss/dd due 5/2017. Swire, Hong Kong has sold “NINGPO” (1,730 TEU, 22,900 dwt, Built Szczecin 1997, cranes 3 x 40 tons, Sulzer) to Orient Express Lines, Singapore for US$ 2.6 million. Greek buyers have purchased “VEGA TAU” (990 TEU, 12,001 dwt, Built Zhejiang Ouhua 2007, gearless, MAN-B&W) for US$ 4.9 million. Bihar International, Saudi Arabia, formerly known as Bakri Navigation has placed orders at New Times in China for two option two 113,000 dwt tankers at US$ 41 million each and for two option two 55,000 dwt IMO II chemical carriers at US$ 35 million each. Deliveries are scheduled for 2018. Samsung has secured an order from Nordic American Tankers (NATS) for three 157,000 dwt Suezmax types, delivery 2018, price around US$ 57 million per vessel. Maersk Tankers is contracting six option six 115,000 dwt Aframax tankers at Dalian with deliveries commencing second half 2018, price US$ 44 million each. 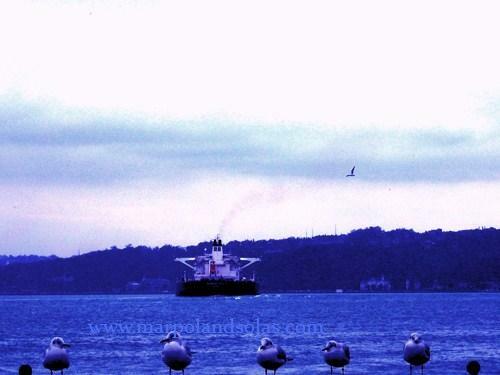 Concordia Maritime'ın kimyasal “STENA IMAGE” (49,719 dwt, Built GSI 2015, IMO II/III, 16 tanks/pumps, MAN-B&W) US$ 37.5 million with 8 years bareboat back. Ancora Investment has sold chemical tankers “MINITANK FIVE” and “MINITANK SIX” (8,084 dwt, Built Nokbong Korea 2007, IMO II, phenolic epoxy, 10 tanks/pumps, Wartsila) for US$ 8 million each to Amoretti Armatori. Greek buyers are paying US$ 5.35 million each for the asphalt carriers “JIANG ZHOU” and “BAO ZHOU” (4,923 dwt, Built Chuandong Shipyard 2008, Yanmar). The latter has already delivered, renamed “SKYPOWER”. Mitsui OSK has sold the Cape size “SAMPAGUITA DREAM” (180,694 dwt, Built Tsuneishi Cebu 2014, MAN-B&W) for around US$ 28 million with dd due 2/2017. Having purchased several other Capes this year, Winning Shipping were quickly identified as the successful bidders but this remains unconfirmed; subsequently Angelakos was put forward as the buyer. Songa Shipping, Norway has purchased “TEN MARU” (82,687 dwt, Built Tsuneishi Zhoushan 2008, MAN-B&W) for US$ 11.1 million. The sellers purchased the vessel in March for about US$ 8 million. Golden Union has sold a pair of modern Supras, “ANNA BO” and “FLAG MERSINIDI” (56,720 dwt, Built Cosco Guandong 2010 and 2012 resp., cranes 4 x 30 tons, MAN-B&W) for an en bloc price of US$ 15 million. A 2006-built Supra that has recently passed her second special survey in Shanghai is reported as sold; “RACHEL” (52,481 dwt, Built Tsunieshi Cebu 2006, cranes 4 x 30 tons, MAN-B&W) has been concluded to Bangladeshi buyers at US$ 8.2 million. Also to Bangladeshis, “FANTASY STAR” (56,029 dwt, Built Mitsui 2005, cranes 4 x 30 tons, no grabs, MAN-B&W) at US$ 8.1 million. Sucres at Denrees, France have purchased four newbuilding B Delta type handy size newbuildings (43,500 dwt, cranes 4 x 30 tons, MAN-B&W) – all ex-Qinshan Shipyard for prompt delivery. No price has emerged so far. In another handy size sale, “DON MARIANO” (37,877 dwt, Built 8/2016 AVIC Weihai, cranes 4 x 30 tons, MAN-B&W) has been sold for US$ 13 million to Oldendorff. The Hong Kong Supreme Court invited sealed bids on October 4th for “APELLIS” (33,261 dwt, Built Orient Shipyard, Korea 2010, cranes 4 x 30 tons, MAN-B&W); Greek buyers were the successful bidders at US$ 7.2 million. At an Admiralty Marshal sale in Gibraltar on October 4th, “THEOFANO” (76,015 dwt, Built Tsuneishi Japan 2002, B&W) was sold for US$ 4.5 million. This vessel’s sale history in the past ten years has been as follows: 9/2006 – sold for US$ 48 million, 11/2007 sold for US$ 62.25 million, 11/2013 – sold for US$ 16.6 million, 10/2016 – US$ 4.5 million. In Taiwan, U-Ming has sold “CEMTEX SINCERITY” (80,531 dwt, Built CSBC 1999, B&W) to local buyers for US$ 3.8 million. UAE buyers are paying US$ 3.05 million for “KARSIYAKA” (45,547 dwt, Built Tsuneishi Japan 1999, cranes 4 x 30 tons, B&W) – dd due 11/2016. A sister built in 1996 – “C. FRIEND” (45,675 dwt, Built Tsuneishi Japan 1996, cranes 4 x 30 tons, B&W) obtained US$ 2.6 million. Chinese buyers are paying US$ 5 million en bloc for “GENCO PIONEER” and “GENCO SUGAR” (29,952 dwt, Built Oshima 2007/2008 resp.,cranes 4 x 30 tons, B&W). 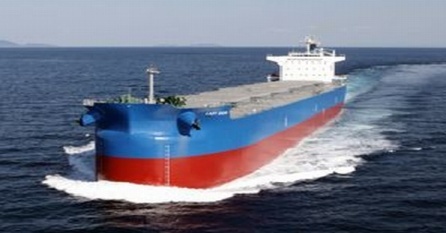 Euronav has ordered two option two 158,000 dwt Suexmax types at Hyundai H.I. – price US$ 56.5 million each with deliveries 1Q 2018. They will be employed on long period timecharters a/c Valero. Swedish owners Thun Tankers have ordered four 7,999 dwt tankers from Dutch shipbuilders Ferus Smit Leer where they have previously built extensively. The vessels will be dual fueled, Ice 1-A, IMO II, coated. Roros – DFDS has ordered two 6,700 lane meter units from CSC Jinling for delivery FH 2019, priced at US$ 75 million each. Buyers hold options for a further four sisters. BW Group 2x318,000 dwt VLCCS Tersane: DSME Fiat her biri US$ 89.6 million Teslim 2018. Keppel Offshore 2+2 7,500 cbm LNG Stolt Nielsen için inşa edecek teslim 2018; her biri US$ 25 million. NYK’s pumproom type “CHALLENGE PROSPECT” (48,539 dwt, Built Iwagi Zosen 2005, epoxy, 4 pumps, MAN-B&W) has gone to Great Eastern for a reported US$ 14.4 million. Teekay has sold the IMO III “TEESTA SPIRIT” (46,921 dwt. Built Hyundai Mipo 2004, epoxy, 12 pumps, B&W) to Greek buyers for region US$ 14-14.5 million. Sale of the fully stainless “MTM WESTPORT” (20,895 DWT, Built Shin Kurushima 2000, 20 tanks/pumps, Mitsubishi) is widely reported at US$ 13.7/13.8 million; European buyers have been mentioned but not identified. Oceanbulk has sold a pair of newbuilding 300,000 dwt VLCCs under construction at Hyundai Samho for delivery at the end of this year. They have gone to Euronav, price US$ 84 million each. The vessels bear the Hull nos. S791 and S792. MR “CPO JAPAN” (51,747 dwt, Built Hyundai Mipo 2010, epoxy, 12 pumps, MAN-B&W) and sister “CPO KOREA” (2009) have been sold for US$ 40 million en bloc. These vessels have appeared too frequently in these pages, to Sellers’ chagrin no doubt, having been committed and failed at US$ 46 million for the pair in May and at US$ 56 million at the beginning of the year. An older MR, “LYNDA VICTORY” (46,087 dwt, Built 3 Maj Croatia 1996, IMO III, epoxy, 10 tanks/pumps, Sulzer) is sold to Middle Eastern buyers for US$ 8 million. Eitzen has sold “SICHEM EDINBURGH” (13,153 dwt, Built 21st C, Korea 2007, IMO II, Marineline, 12 tanks/pumps, MAN-B&W) to buyers in Vietnam for a price in the mid US$ 11 millions. Varun is buying BW’s LPG “BW BORG” (82,614 CBM, Built Kawasaki 2001, B&W main engine) for US$ 42.5 million. Danish buyers have agreed to pay US$ 7 million for the pressurized LPG carrier “SIGAS MARGRETHE” (5,018 cbm, Built Sasaki 2006, MAN-B&W). In a sale by the shipyard, Ultramaxes “DARYA RANI” and “DARYA MAYA” (64,000 dwt, Built Guangzhou Huangpu 5/2016, cranes 4 x 30 tons, MAN-B&W) have been sold to Chinese buyers for US$ 16.9 million. 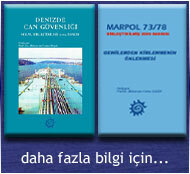 Mardeniz Denizcilik filosunu Tufton Oceanic’e sattı. Blok satış fiatı US$ 75 mil. Formerly described as a “Panamax” “MULBERRY PARIS” (76,492 dwt, Built Tsuneishi Japan 2004, B&W) has been concluded at US$ 5.5 million. The similar but older“SAMJOHN LIBERTY” (74,761 dwt, Built NKK 1998, Sulzer, next ss 1/2018) has gone at US$ 2.7 million to Chinese buyers. Supramax “MAPLE GROVE” (53,474 dwt, Built Imabari 2006, cranes 4 x 30 tons, MAN-B&W) is reported as sold to Buyers in Bangladesh for US$ 7-7.5 million. Vietnamese owners are buying the handy “SH GRACE” (29,828 dwt, Built Shikoku 2006, cranes 4 x 30 tons, MAN-B&W, next ss 10/2020, next dd 10/2018) for US$ 5.6 million. An older handy, “CAPE SPENCER” (28,799 dwt, Built Shin Kurushima 1997, cranes 4 x 30 tons, Mitsubishi) is going to China for US$ 2.35 million. Cape size “MUSTANG” (180,000 dwt, MAN-B&W), under construction at New Times for delivery in September, has been sold by CarvalInvestors to Golden Union for US$ 32/32.5 million. Daiichi Chuo has sold the coal carrier “JP CITRUS” (85,926 dwt, Built Oshima 2006, beam 36.5m, MAN-B&W) to Asian buyers for US$ 8.2 million. Sellers will pass ss/dd in October before delivery. Ultramax “JS MEUSE” (63,500 dwt, Built Yangzhou Dayang 2012, cranes 4 x 35 tons, MAN-B&W) has been sold for US$ 12.75 million. Apex Marine has sold “ETHEL L” (34,399 dwt, Built SPP Korea 2010, cranes 4 x 35 tons, MAN-B&W) for US$ 9.6 million. Moving into vintage territory, “ATLAS EXPLORER” (45,642 dwt, Built Tsuneishi Japan 1995, cranes 4 x 25 tons, B&W) has obtained US$ 2.2 million – dd due 5/2018, ss due 8/2020. Middle Eastern buyers are paying US$ 2.45 million for “CAJU” (28,074 dwt, Built Bohai 2000, beam 27.2m, cranes 4 x 30 tons, Sulzer). Open hatch type “UBC BOSTON” (23,544 dwt, Built Saiki 1997, cranes 4 x 30 tons, Mitsubishi) is going to Greek buyers for US$ 2.35 million. “COLUMBIA” (4,713 TEU, 53,511 dwt, Built Hanjin 2002, Sulzer) has been sold to buyers in China for US$ 4.7 million. SITC have sold their “SITC NINGBO” (831 TEU, 12,613 dwt, Built Kyokuyo 2004, gearless, B&W) to Chinese interests for US$ 6.64 million and will take her back on 10 years timecharter. MPP “PAC DUBHE” (27,498 dwt, Built Kouan 2006, 1,364 TEU, non-cellular, double skin, removable flush tweens, cranes 2 x 45 tons, 2 x 40 tons, Mitsubishi) has gone at US$ 4 million. Wagenborg have sold and already delivered the gearless “KEIZERSBORG” (9,150 dwt, Built Ferus Smit 1996, 494 TEU, Stork Wartsila) – a price of US$ 2.3 million was agreed. NYK has declared options for a further five 14,000 TEU container ships to be built at Japan Marine United, bringing the total order to fifteen. Deliveries of the newly declared five will take place in 2018-2019. Sweden’s Wisby Tankers has ordered two option two 50,000 dwt IMO II tankers from CSSC (formerly GSI) at US$ 40 million each with deliveries end 2017/early 2018. Weidong Ferry has ordered one 31,000 G/T, 700 passenger, 320 TEU Ropax ferry at Hyundai Mipo for delivery SH 2018, intended for service Qingdao/Inchon. VLCCs - Maran Tankers has ordered two option two of 318,000 dwt at Daewoo, delivery 1Q 2019, price US$ 84.6 million each. NYK has ordered two VLGCs of 84,000 cbm each for delivery from Japan Marine United in 2019. Reports indicate a price of US$ 75 million per vessel. Hyundai H.I. is to build two 180,000 cbm membrane-type LNG carriers for SK Shipping; price US$ 200 million each, delivery 2019. Siem Industries has ordered four 4,100 cbm roros from Flensburger, deliveries 2017/2018. Two will be chartered to DFDS, two to Alternative Tasimacilik A.S.
Royal Caribbean has signed a letter of intent with STX France for three newbuilding cruise vessels, one with 2,750 cabins for 6,000 passengers, delivery 2021 and two with 1,450 cabins for 2,900 passengers, deliveries 2022 and 2023. Karadeniz Holding Alışlarına devam ediyor. Hyundai Heavy Industries tersanesi 2x 158,000 DWT Suezmax Tankers , Clients of Minerva Marine için teslim 2017.
. Xiamen Shipbuilding : 5,390 DWT IMO 2 Paslanmaz çelik kimyasal ;siparişi veren:Xiamen C&D teslim 2018. Gas tankerleri siparişinde ise1,500 CBM LPG Carrier Teslim:4Q 2016 .